The Unified Judicial System offers a comprehensive benefits package to our employees. 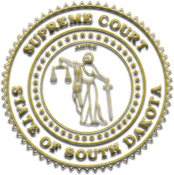 UJS is comprised of judges and employees who strive to serve the citizens of South Dakota and ensure public trust and confidence in the judicial branch through Justice for All. Please click on the tabs/links below to learn more about available openings, position descriptions, compensation, our employees, and benefits.